We had a good Christmas in Columbus, GA. On Wednesday it was too cold to operate in the backyard. So I setup the Alexloop on the coffee table. I had good luck on 30 meters working W4PKU in VÀ and AC4FZ in NC. 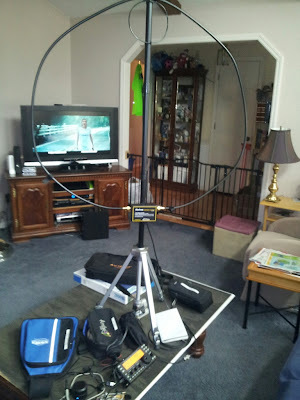 I squeezed out a 40 meter QSO with WD5CNC in AR. The radio was my KX3 running 5 watts on internal batteries. 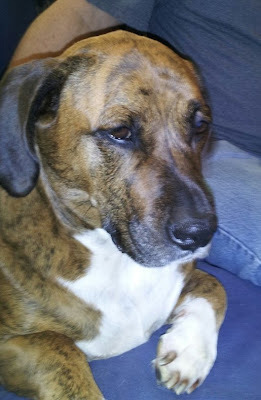 I enjoyed the pets there including Duckie in the photo below. HAMjitsu helps you keep in touch with your fellow club members! Using Reverse Beacon Network, a sophisticated spotting system, HAMjitsu cross-references club databases and renders matching results. Great for working towards club awards or just ragchewing with club members. I followed the Flying Pigs with it. I could see when they went from 40 to 80 so I could go chase them. The Straight Key Century Club Seventh Anniversary Celebration will start January 1st. There will be K3Y stations on from the ten call areas for the entire month of January. Note the call K3Y represents "Key". I am signed up to be K3Y/4 during January 1st and 21st from 1400 to 1759 UTC. So I will be the chased and not the chaser. 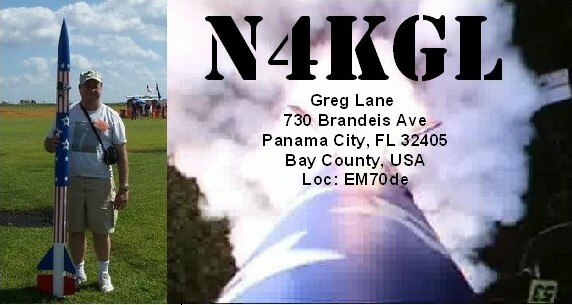 I will be operating my KX3 at 10 watts. You may want to see if you can get a sweep of all ten call areas during the month of January. If you are not a SKCC member consider it. It is free. See the SKCC website. My SKCC number is 5123T. Per the Urban Dictionary, a ragchew is a long QSO between two amateur radio operators. 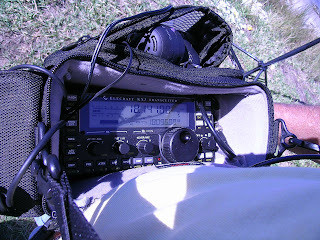 This is generally what amateur radio operators are doing on the radio when they're not contesting, testing equipment, bouncing signals off the moon or meteor showers, providing communications in national emergencies, sending still or moving pictures or text back and forth, connecting to packet radio networks, and partaking in nets. 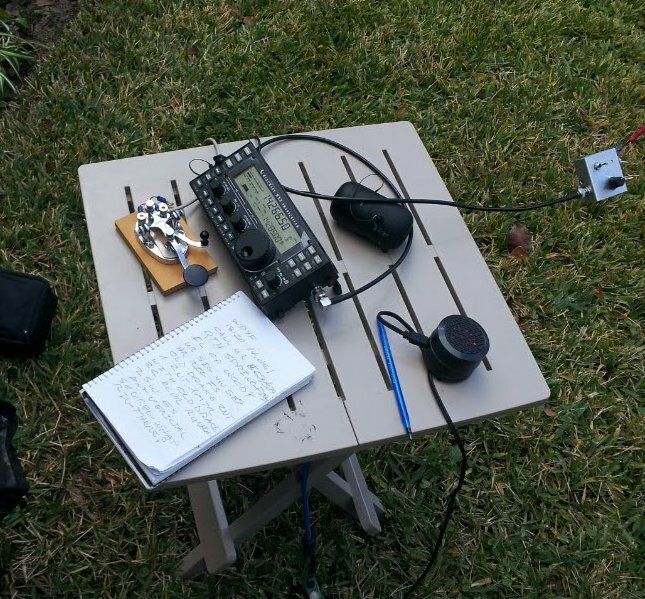 I enjoyed a ragchew QSO Sunday on 20 meters CW with Woody WD9F in Springfield IL. We had a combination of new and old rigs. He was using a Drake 2C receiver and 2NT transmitter combination. Woody was exercising the Drake pair since if you don't fire them up they will go bad. I started hamming with the Drake 2C in my novice days back in the late 60's and used it for many years. 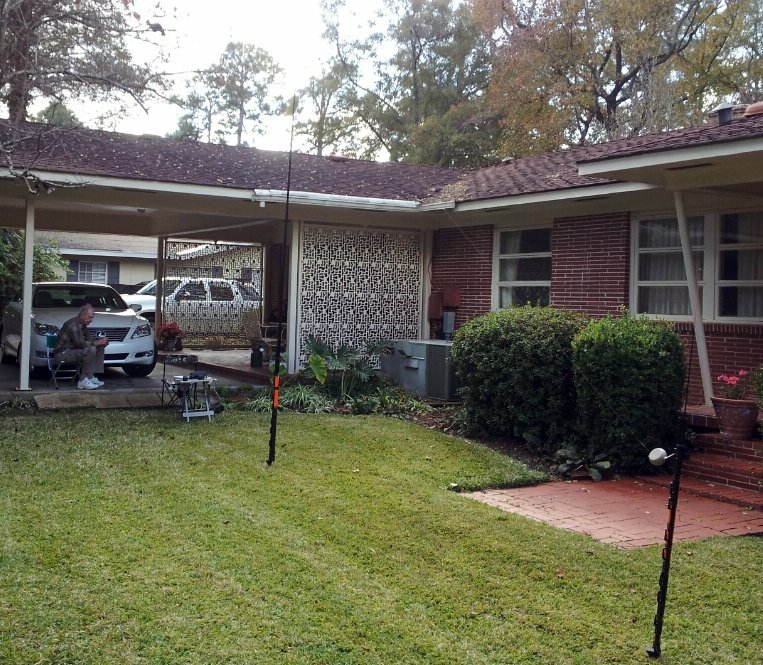 Indeed for this QSO, I was set up portable in my parent's yard where I grew up. There are lots of antenna spirits that dwell there including a vertical, quad and dipoles. My rig was the new Elecraft KX3 running 5 watts on internal batteries The antenna was an end fed half wave wire inverted vee style using a SOTA tuner. I don't know if my end fed half wave was optimum but it sustained a 30 minute solid QSO with Woody. I did not use a counterpoise other than the short coax. I have set my half wave lengths using the method suggested by Steve Yates AA5TB. 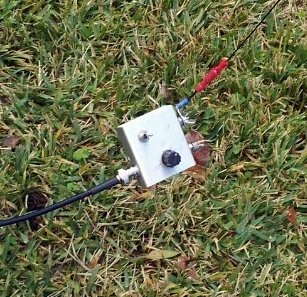 Woody was interested in the antenna since he does QRP portable also. 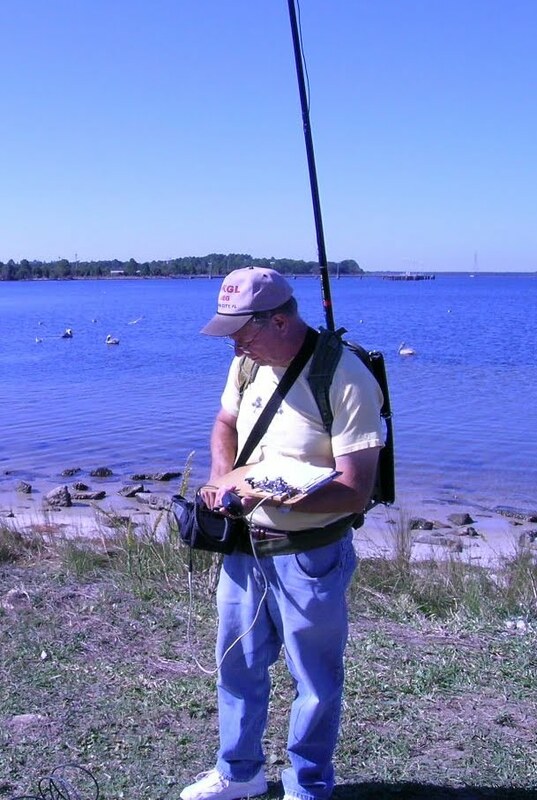 In fact he wrote an article about QRP portable for CQ magazine. He said he is trying not to buy a KX3 but I think I pushed him over the edge. Some day folks will say I remember the KX3. Well my bets are they will still be using the KX3s as the shelf life should be good with all the SMT parts. These ragchew QSOs are really value added. Thanks for a great one Woody!